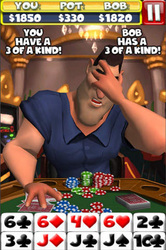 ﻿﻿﻿Do you want to get better at playing poker? 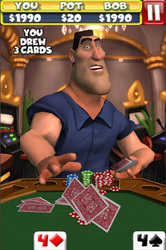 Do you want to learn about poker strategy to win more games? 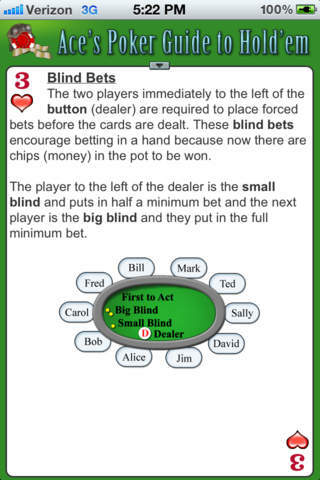 Or maybe you just want to learn the basics of Texas Hold'em. These poker tutorial apps for iOS and Android will teach you all you need to know. 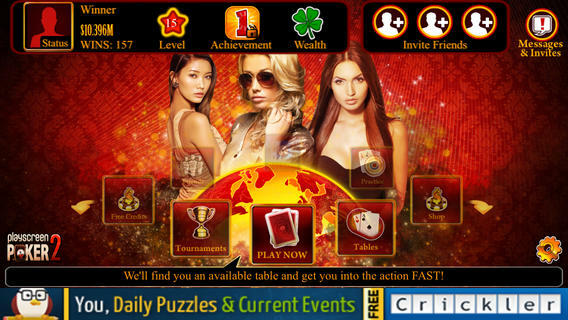 ﻿Over the last few years, the world of online poker has changed quite dramatically. One of the biggest changes has seen the overall skill level of players growing significantly from even 5 years ago. 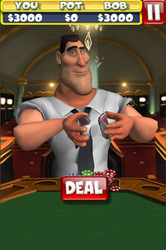 A massive part of this has been down to the availability of poker training software and the quality of the videos and articles that are now being released. 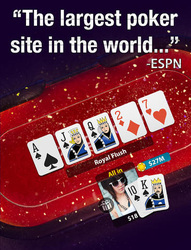 The days of being able to sit at a table full of ‘fish’ are pretty much over and the fact that you need to be able to beat the best to be the best are much more of a reality. 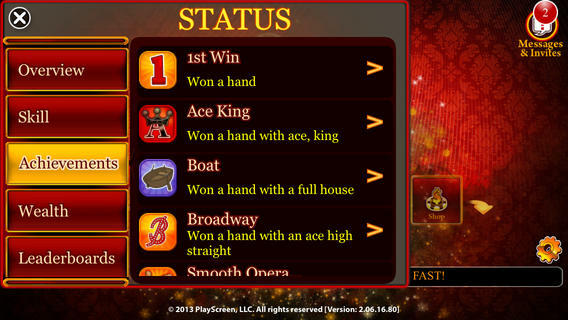 One of the ways in which poker players are continuing to improve is through poker tutorial apps. These are readily available on the iPad from the Apple store and we have reviewed some of the best ones below. 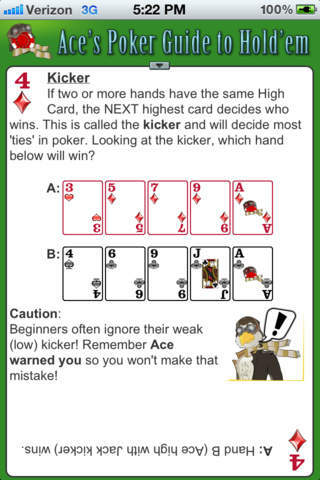 Throughout our lives, most of us will have been made to sit some sort of exams or quiz in order to progress; whether that be through school or even in a place of work. 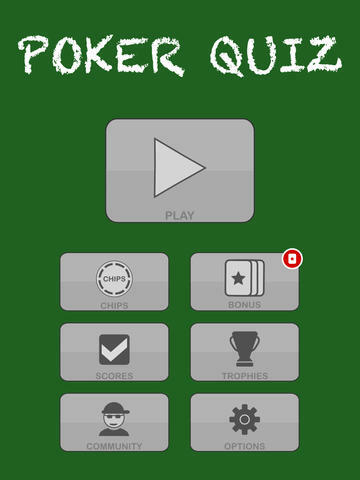 The Poker Quiz app does exactly that by testing your poker knowledge with a variety of questions on the subject of Texas Holdem, Omaha or a mix of the two. 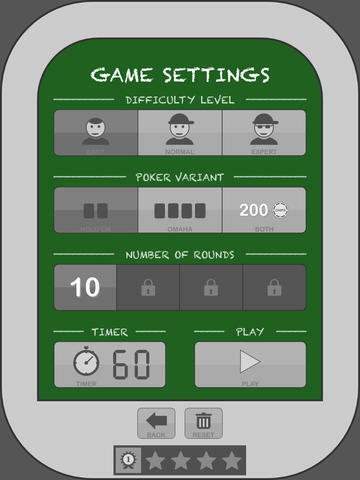 The app first allows you to flick between three levels of easy, normal and expert before then allowing you to choose between poker variants, number of rounds and if you want to include a timer or not. 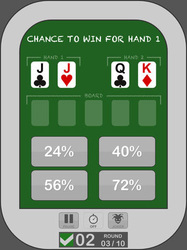 Once in the quiz you will get the question before an option of 4 choices to pick from; pick right to increase your overall score. A great addition to this is that you can click the info button after you have answered every question whether that be correctly or incorrectly. The info section gives a detailed breakdown of the answer to the question and allowing you to clearly see where you went wrong or right. 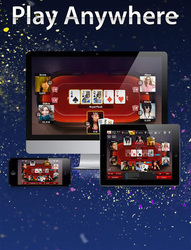 The Poker by Zynga app is designed to offer its users a free poker environment in which to hone and learn their skills whilst at the table. 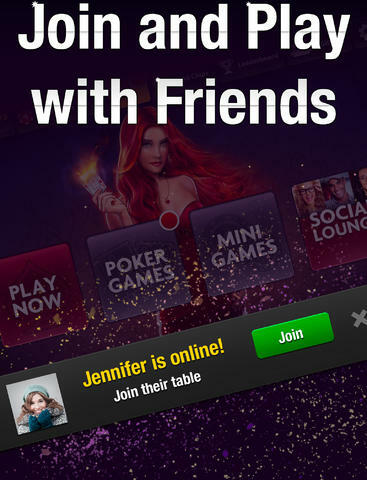 The app is a little different in that it doesn’t offer a form of coaching as such, but it does allow you play for free and even link up to your Facebook account to play with friends and family. 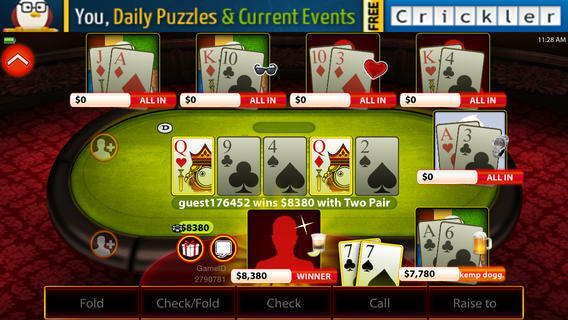 First of all the app looks absolutely stunning! It’s been brilliantly designed and we are lead to understand that they have been working with ESPN to make this poker app. 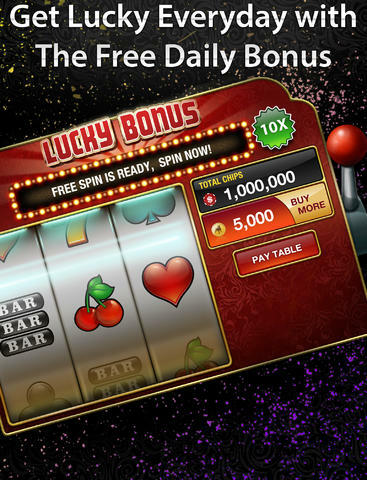 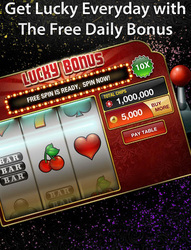 Once into the app you get the choice playing a cash table, sit and go tournament or a series of mini games (these include things such as slots, black jack and hi-lo variants). 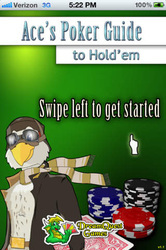 Included are speed poker forms as well which adds to the diversity and depth of the app. 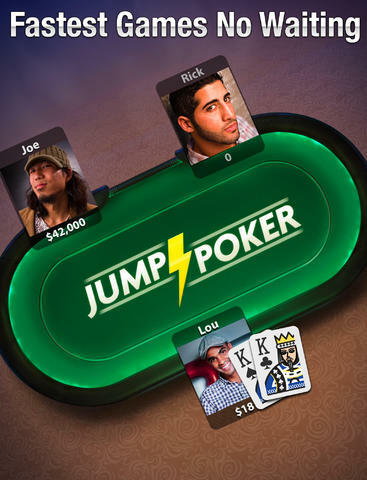 One thing we did find useful with this app is linking it to friends accounts to enable you to almost play home games exclusively this way. 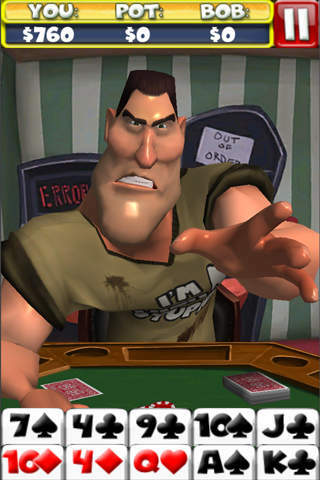 The Poker with Bob app is unlike many of the poker tutorial apps that are currently circulating the market. 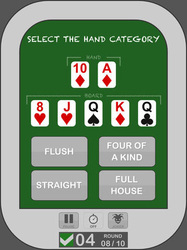 Instead of Holdem or even Omaha being available to play, this app concentrates solely on 5 card draw. 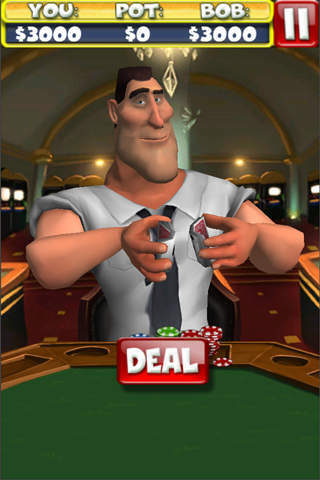 The game is pretty simple; you play against ‘Bob’ in a series of heads up games where you need to take all his money off him. 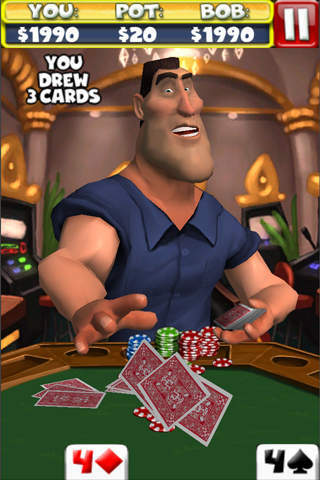 What’s good about this app is that he genuinely plays his hands as you would in a proper game and there seems to be very little in the way of just letting you win to carry on playing on the app. 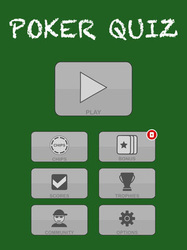 The best bit about the app has to be the tutorial section. 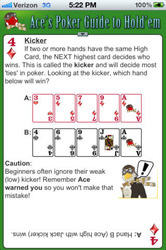 This gives you a look at how to play the game and what sort of actions you will be required to make throughout each game. 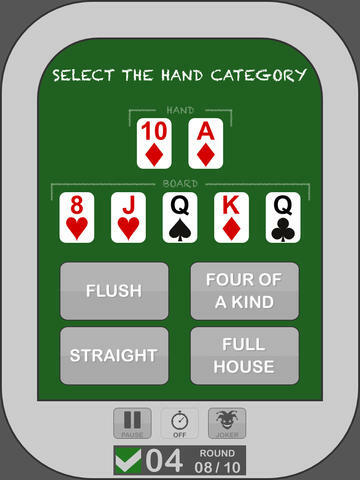 Unlike Holdem, 5 Card Draw is still a pretty niche game in terms of modern day poker so it’s likely that most players will find information from the app that they can apply to their game. The ability to switch how well Bob plays against you will also help in honing your skills. 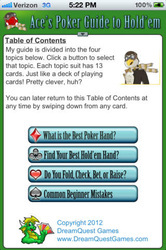 Ace’s Poker Guide is an essential for all players who are looking to start out in the game of Texas Holdem or even just brush up on a few skills. 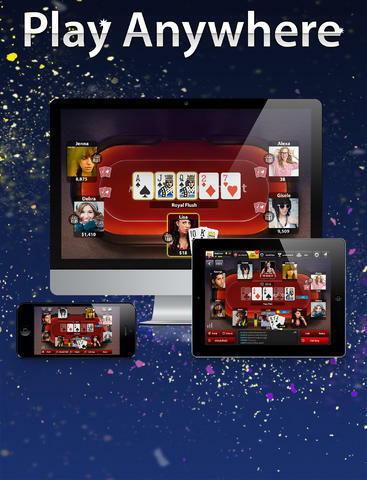 The app allows you to learn some basic strategy whilst also being able to participate in poker quizzes and eliminate mistakes that many novice poker players make. 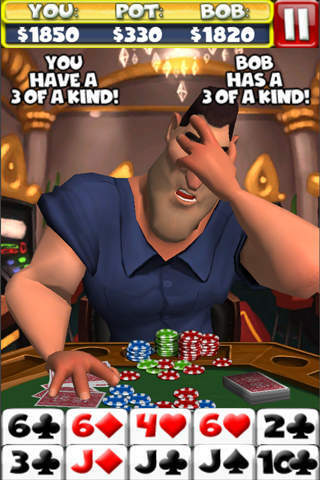 The app has a light hearted feel to it but in all honesty is one of more complete poker tutorial apps that we have come across. 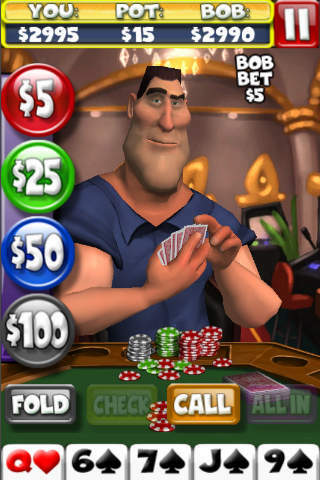 The app starts by you answering a few questions about poker and also allowing you to choose which section of app that you want to get started in first. 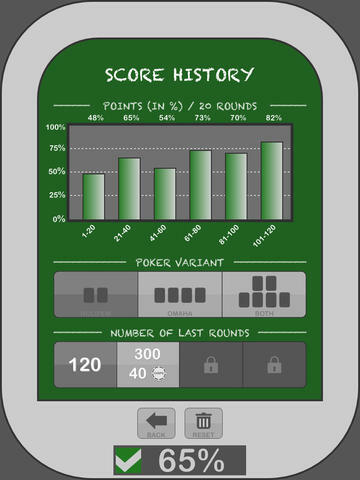 Each section on the app starts with basic information before getting a little more technical with every page you progress with. 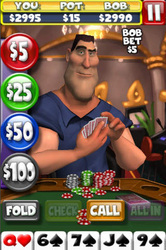 Some cards include questions of which you can answer then check your results on the bottom of that card. 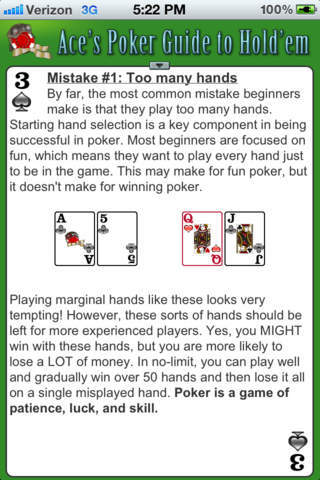 The app doesn’t allow to actually play any hands live, but in reality this is not what the app is about as they work much harder on making sure you understand a few concepts rather than just simply learn by your mistakes. The PlayScreen Poker 2 app is much more of a complete poker tuition app. Whilst the app provides a range of articles about improving how you play Texas Holdem, it also allows you to play at the tables with friends or against the computer and then tracks your results. From this you can analyse what’s going with your play and areas where you can improve. As you get better you can move up the rankings in the app and buy things that will improve your lifestyle as a result. 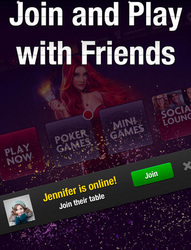 The depth of the app is definitely its strongest point. 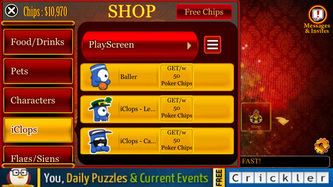 We love the amount of leader boards on offer throughout but essentially the tips section is something that most users reading this review will appreciate. 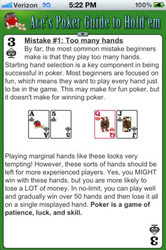 It ranges from beginner to intermediate information but all of it definitely worth a read. 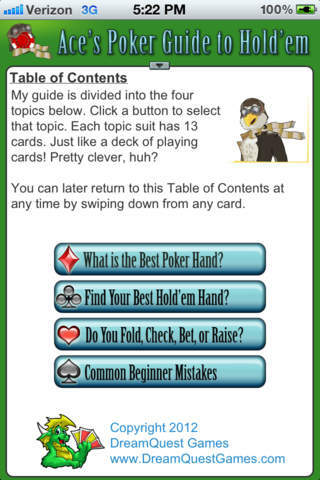 After playing poker for countless years now, there were still aspects of that section that proved useful, even if it was more on a refresher basis for our team.